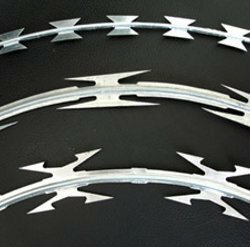 Pioneers in the industry, we offer gi wires and razor wire from India. as a renowned Manufacturer, we are providing an array of galvanized iron wire. 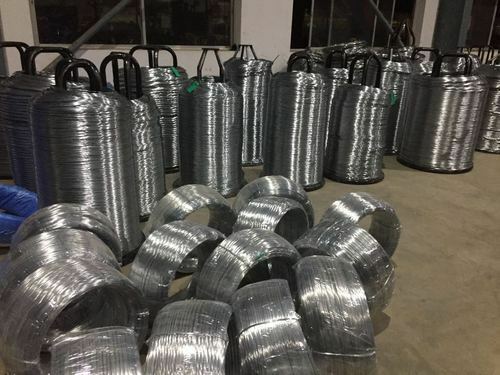 these galvanized iron wires are widely used for various industrial purposes. our assortment of galvanized wire is produced from ms wire of different gages and coating thickness for various kinds of applications. salasar alloy and steel ind. offers hot dip g.i. wires in size range 1.6 to 4 mm, of consistent mechanical properties, uniform zinc coating, bright surface finish. these are mild carbon steel wires, which are coated with zinc , so as to impart the base wire with superior properties. the zinc coating varies from 30 to 150 gms/sq.mtr. zinc coating is done through galvanised processes. the tolerance of theses wires is (+/-) 2.5%. the uts ranges from 300 to 800 mpa. diameter :- range 1.2 to 4 mm. Salasar Alloy and Steel Indare the largest Manufacturers, Suppliers and also Service Providers of Security Fencing. Salasar Alloy and Steel Ind is a well established name in manufacturing of Razor Wire Punched Tape Concertina Coils Having a vast security experience of over a decade. We Salasar Alloy and Steel Ind is working constantly as a team of professionals with the latest and the best products and services originating from a single reliable source and not to mention at a very competitive prices but without having any compromise with Quality of Raw Material.